Twenty-four-year-old Darius Fernandes from Hiawa Village is the enterprising and proud owner of a pig rearing business. His road to business success was not an easy one. When he was 14 years old, Fernandes dropped out of school because his parents could not afford to send him. He was soon earning an income to assist his family. However, he never let his circumstances hinder his dream of making a prosperous future for himself. Minister of Indigenous Peoples’ Affairs, Sydney Allicock and Permanent Secretary, Alfred King along with the young entrepreneurs of Region 9. When the opportunity presented itself, he enrolled and participated in the Hinterland Employment Youth Service (HEYS) programme. Through the initiative, he received training in leadership and business management. Fernandes, who was also elected as a councillor in his village in 2018, started his business venture with 7 pigs; utilising the start-up funds he received at the end of the one-year training course. Today, Fernandes, along with his sister, are rearing 27 pigs which they sell to residents in and around his village. “I was lost, no idea of what I wanted to do, but then came the HEYS. This programme really helped me a lot and I would like to thank the government for this opportunity for the young Indigenous peoples,” Fernandes said. He is one of 71 young entrepreneurs from the Upper Takatu-Upper-Essequibo Region, who benefitted from the first disbursement of the Stimulus Grants under the HEYS programme, today, at the St. Ignatius Village Benab. With the funding he received, Fernandes will be able to expand his business. Minister of Indigenous Peoples’ Affairs, Sydney Allicock. Minister of Indigenous Peoples’ Affairs, Sydney Allicock handing over the grant to one of the young entrepreneurs. The young people drawn from 10 villages in South Central, Central and North Rupununi received $50,000 each to support their businesses. The young entrepreneurs successfully completed training under the HEYS programme and would have established businesses ranging from cattle and chicken rearing, grocery shops, canteen, honey production and ICT centres and stationery shops. Marline McDonald of Parishara Village, also a school dropout, said when the opportunity was presented to her to learn a skill, she quickly seized it. With the funding provided under HEYS, McDonald was able to construct a shop where she sells groceries and provides seamstress services for the villagers. “I want to touch every field in business, sometimes you will see at my shop and you will see me at the sports ground selling snacks and then you will see me on my sewing machine. The programme has helped me a lot, and I would just like to thank the government for bringing this programme to us,” she told the Department of Public Information (DPI). Delivering the feature address at the event, Minister of Indigenous Peoples’ Affairs, Sydney Allicock noted that these two endorsements are evidence of the government’s commitment to ensuring that every citizen of this country is given the opportunity to develop themselves. 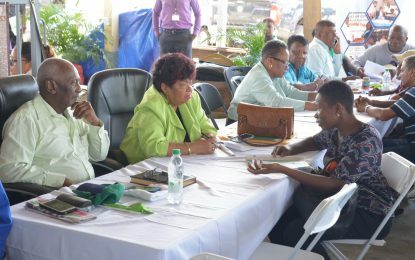 According to Minister Allicock, a total of $400,000 was invested in young people who completed the programme, and many and are now business owners. To ensure that these businesses grew in strength and flourished, this year, $100M was approved for monitoring and mentoring, along with additional monetary support. “So, we didn’t just leave you, we recognise that you need that encouragement and so we are here to deliver,” Minister Allicock said. 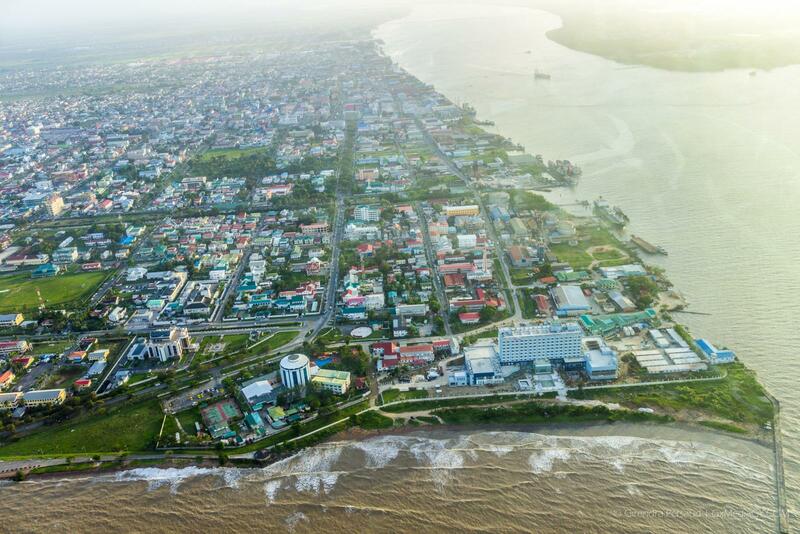 He reminded that the programme forms part of President David Granger’s 10-point plan for hinterland development, and therefore, “it is something that is now bearing fruit”. Launched in October 2015, the Hinterland Employment and Youth Service (HEYS) initiative is a flagship programme that provided training for 4,000 hinterland youths and would lead to the creation of almost 2,000 small businesses. In addition to the $30,000 monthly stipend which the participants received during the one-year programme, a $50,000 startup grant was given to students who are desirous of creating their own businesses. Some of the youth opted to further their studies at the higher institute of learning on the coast. Through this programme, the APNU+AFC Government has, over the last three years, invested more than $2Billion in hinterland youth empowerment. In 2016, close to $1Billion was budgeted for the project, which was piloted in Paramatakoi, Mountain Foot, Bamboo Creek, Monkey Mountain, Tuseneng and Tarukain in Region 8, Potaro-Siparuni. A further $991M was allocated in 2017 and $982M in 2018.